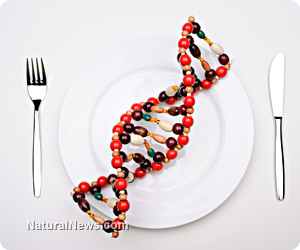 (NaturalNews) As if there isn't enough reason to avoid genetically modified food, new research has discovered GMOs are linked with leukemia and anemia. The study found that Bacillus thuringiensis (Bt) used in bioengineered seeds has a substantial adverse effect on blood cells and bone marrow cell proliferation. Even at the lowest dose, the effects were deemed virulent to proper cell health. "Monsanto decided it would be profitable to splice a gene of Bt with corn, soybeans and cotton - creating plants that were rife with the bacteria not just on the surface but within the cell wall. Monsanto and the Environmental Protection Agency claimed the toxin would be destroyed within the digestive tract of mammals and magically disappear. Guess what? The physicians at Sherbrooke University Hospital in Quebec, Canada discovered Bt-toxin in 93 percent of 30 pregnant women, 80 percent of umbilical cord blood of their babies and 67 percent of 39 women who were not pregnant. Considering Bt-toxin is linked with cancer, autism, severe food allergies and autoimmune disease, these findings are downright frightening."